In a historic victory for the BDS movement in Canada, the University of Windsor undergraduate students voted in a campus-wide referendum to endorse the BDS movement, and to push for university divestment from companies that are complicit in Israel’s systematic violations of international law. The University of Windsor Palestinian Solidarity Group (PSG) carefully followed the protocols in place for this referendum, having had their question vetted and approved by the University of Windsor Student Alliance (UWSA) lawyer, and having met with the university’s president, Alan Wildeman, in advance of the referendum. Over 10% (which is quorum) of voters cast their vote, with 798 out of 1393 votes in favour of divestment. 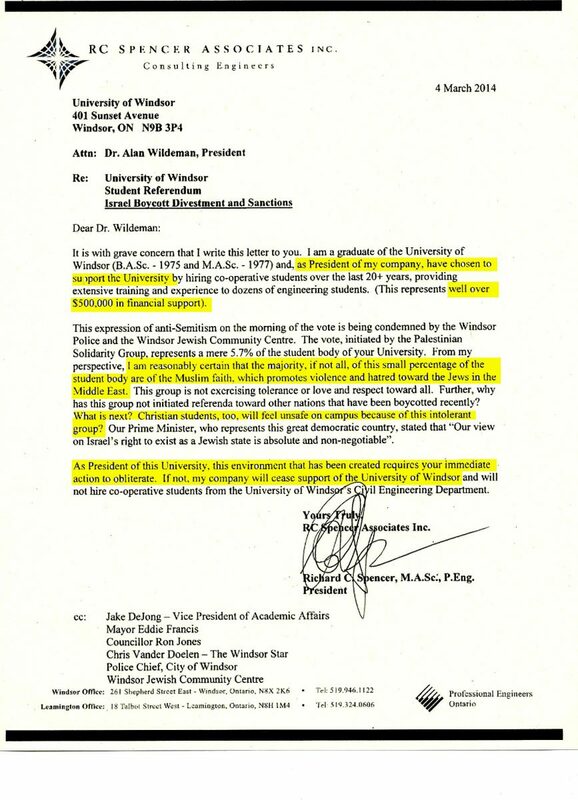 The University of Windsor Palestinian Solidarity Group (PSG) would like to clear up the misinformation that’s been spread by the media in regards to the BDS referendum which was recently passed, as well as respond to the recent statements by President Alan Wildeman.